Unarmored trucks carrying needed supplies were ambushed, leaving six drivers dead. Records illuminate the fateful decision. Senior managers for defense contractor KBR overruled calls to halt supply operations in Iraq in the spring of 2004, ordering unarmored trucks into an active combat zone where six civilian drivers died in an ambush, according to newly available documents. Company e-mails and other internal communications reveal that before KBR dispatched the convoy, a chorus of security advisors predicted an increase in roadside bombings and attacks on Iraq’s highways. They recommended suspension of convoys. KBR was under intense pressure from the military to deliver on its multibillion-dollar contract to transport food, fuel and other vital supplies to U.S. soldiers. At Baghdad’s airport, a shortage of jet fuel threatened to ground some units. After consulting with military commanders, KBR’s top managers decided to keep the convoys rolling. “If the [Army] pushes, then we push, too,” wrote an aide to Craig Peterson, KBR’s top official in Iraq. The decision prompted a raging internal debate that is detailed in private KBR documents, some under court seal, that were reviewed by The Times. One KBR management official threatened to resign when superiors ordered truckers to continue driving. “I cannot consciously sit back and allow unarmed civilians to get picked apart,” wrote Keith Richard, chief of the trucking operation. U.S. military forces may be out of Iraq, but the unsung and unrecognized part of America’s modern military establishment is still serving and sacrificing — the role played by private military and security contractors. That their work is dangerous can be seen by looking at the headlines. Just last Thursday a car bomb hit a private security convoy in Baghdad, killing four people and wounding at least nine others. That is hardly an isolated incident. According to the most recent Department of Labor statistics there were at least 121 civilian contractor deaths filed on in the third quarter of 2012. Of course, these included countries besides Iraq. As the Defense Base Act Compensation blog notes, “these numbers are not an accurate accounting of Contractor Casualties as many injuries and deaths are not reported as Defense Base Act Claims. Also, many of these injuries will become deaths due to the Defense Base Act Insurance Companies denial of medical benefits.” To date, a total of 90,680 claims have been filed since September 1, 2001. How many contractors are now serving on behalf of the U.S. government? According to the most recent quarterly contractor census report issued by the U.S. Central Command, which includes both Iraq and Afghanistan, as well as 18 other countries stretching from Egypt to Kazakhstan, there were approximately 137,000 contractors working for the Pentagon in its region. There were 113,376 in Afghanistan and 7,336 in Iraq. Of that total, 40,110 were U.S. citizens, 50,560 were local hires, and 46,231 were from neither the U.S. not the country in which they were working. Put simply, there are more contractors than U.S. troops in Afghanistan. While most of the public now understands that contractors perform a lot of missions once done by troops – peeling potatoes, pulling security — they may not realize just how dependent on them the Pentagon has become. 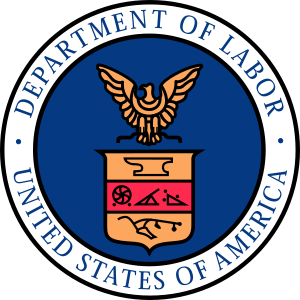 The Department of Labor and Supreme Group, A Cover Up? The Supreme Group shows no prior death claims filed dating back to September of 2001. AND NO ONE HAD ANYTHING TO SAY ABOUT IT AT THE DEPARTMENT OF LABOR? The Majority of ExPat Civilian Contractor Casualties first served their country in the military. Many of them gave twenty and more years of service before deploying in a civilian capacity. Many of them were buried with military honors. Yet we are not supposed to know their names or even that they died in our wars. Applicability: This IPD applies to all contracting activities subordinate to the Commanding General of CENTCOM Joint Theater Support Contracting Command (C-JTSCC), who is the head of contracting activity (HCA) for Afghanistan and Coordinating Authority for Iraq, and all external agencies to C-JTSCC which have issued or will issue contracts for performance in Afghanistan or Iraq. As prescribed in AI 25.7703-5(j), insert clause 952.255.0011, Government Issued Contractor Support in all service and construction contracts with performance in Iraq or Afghanistan. Prior to checking blocks to authorize services for contractor personnel, Contracting Officers shall coordinate with requiring activities to verify what services are available and authorized at their locations. A bipartisan group of members from the House and Senate proposed legislation on Monday that seeks to crack down on human trafficking by contractors that the U.S. military hires for work in Iraq and Afghanistan. The End Trafficking in Government Contracting Act is a reaction to reports from the Commission on Wartime Contracting and the inspectors general of the Defense and State departments that overseas contractors are known to engage in practices that are illegal under U.S. employee rights standards. These include seizing workers’ passports to trap them at a work site, lying about compensation, engaging in sexual abuse and generally keeping workers in a state of indentured servitude. Sen. Richard Blumenthal (D-Conn.), the lead Senate sponsor of the bill, said the legislation would help improve the treatment of third-country workers who are lured to work in Iraq and Afghanistan only to be defrauded or enslaved. Blumenthal’s bill, S. 2234, is also co-sponsored by Sens. Susan Collins (R-Maine), Al Franken (D-Minn.), Joe Lieberman (I-Conn.), Claire McCaskill (D-Mo.) and Rob Portman (R-Ohio). The House companion bill, H.R. 4259, was sponsored by Rep. James Lankford (R-Okla.), and is co-sponsored by House Oversight and Government Reform Committee Chairman Darrell Issa (R-Calif.) and Reps. Gerry Connolly (D-Va.), Elijah Cummings (D-Md.) and Chris Smith (R-N.J.). WASHINGTON – A sergeant in the U.S. Army Reserves pleaded guilty today to one count of conspiracy to defraud the United States for receiving money from a local contractor in return for preferentially processing its invoices for payment outside of the proper procedures and protocols, announced Assistant Attorney General Lanny Breuer of the Justice Department’s Criminal Division. Sergeant Amasha M. King, 33, of Forsyth, Ga., pleaded guilty before U.S. District Judge Marc T. Treadwell in Macon, Ga., to criminal information charging her with one count of conspiracy to defraud the U.S. Department of Defense (DoD). 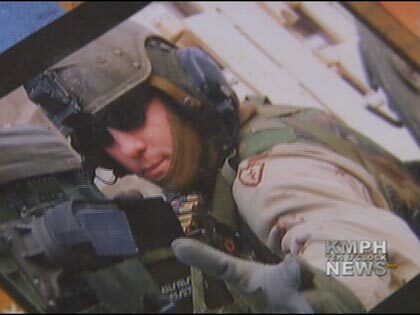 According to the court documents filed in the Middle District of Georgia, Sergeant King served at Camp Arifjan, Kuwait, from November 2004 to February 2006, in support of Operation Iraqi Freedom as part of the 374th Finance Battalion. While in Kuwait, King was responsible for receiving and processing pay vouchers and invoices from military contractors for various contracts and blanket purchase agreements (BPAs), including BPAs for bottled potable water. A BPA is a type of contract by which the DoD agrees to pay a contractor a specified price for a particular good or service. With King’s approval, the contractors were paid from the finance battalion, and in some instances, King was responsible for the issuance of U.S. government checks to those contractors. According to the court documents, King agreed to receive money from a military contractor in return for defrauding the United States by preferentially processing the contractor’s invoices outside of the proper procedures and protocols for payment. This allowed the contractor to be paid much faster than usual and ultimately to bid for more contracts than it otherwise could have financed. 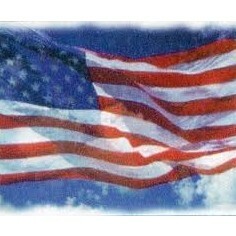 As Americans, we all feel a sense of patriotism when it comes to our great country. The men and women who chose to go to Iraq and Afghanistan in a civilian capacity to serve our country are NOT included in the numbers when they tally the numbers of Deaths and Injured. Why should they be included you may ask? Why should they be excluded I ask. 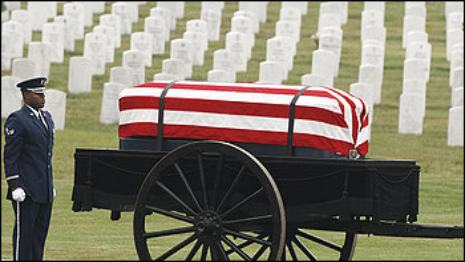 When a civilian contractor is killed or injured the American people are paying the bill. Survivor benefits, worker’s compensation, funeral expenses, medical expenses etc are all paid for by the American people. While the multi-billion dollar private military companies like (DynCorp, KBR, Xe, etc.) sit back and continue to reap the benefits of the continued international conflicts. If you know a civilian contractor who is currently employed, has been injured, has been killed please sign our petition. Although many of these men and women who chose to serve our country in the civilian capacity are retired military personnel, they receive no acknowldgement of their sacrafices when they are injured or killed. Jake Wiens – (POGO) – November 10, 2011 – In an encouraging development, the two Senators—Jim Webb (D-VA) and Claire McCaskill (D-MO)—responsible for introducing legislation that created the Commission on Wartime Contracting sent a letter yesterday which called on the Archivist to “take immediate steps” to publicly disclose the Commission’s records, which had been sealed for 20 years. In a recent blog post, POGO called on the Congress to take action to lift this seal. We are writing to request that you take immediate steps to publicly release the permanent records of the Commission on Wartime Contracting in Iraq and Afghanistan (the Commission), consistent with your authority under the law. On September 30, 2011, the Commission terminated operations pursuant to statute and forwarded to the National Archives and Records Administration all records within its control not previously released to the public. In its letter of September 9, 2011, the Commission encouraged you to review nonpublic records for public release following a closure period of 20 years. We learned of this development after the fact. The Commission did not seek the advice or involvement of appropriate congressional committees or staff in formulating its recommendation to you. As the two original cosponsors of the legislation creating the Commission in 2008, we are troubled by this lengthy and excessive delay in making the Commission’s records available to the public. We ask that the National Archives make a full disclosure of the Commission’s files and records as quickly as possible, consistent with protections for privacy, proprietary information, and other applicable laws. 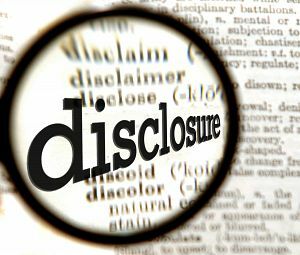 The importance of public disclosure relates directly to the Commission’s original legislative mandate—to assess contingency contracting for reconstruction, logistics, and security functions; to examine the extent of waste, fraud, and abuse; and to improve the structure, policies, and resources for managing the contracting process and contractors. The Commission’s own work stressed the importance of increasing transparency and accountability for contracting operations. Much like the World War II-era Truman Committee it was patterned after, the Commission performed a critical “watchdog” role during its three-year existence. The appropriate committees of Congress are addressing the many constructive findings and recommendations contained in the Commission’s two interim reports and final report. Of note, the Commission concluded that at least $31 billion, and possibly as much as $60 billion, has been lost to contract waste and fraud during U.S. contingency operations in Iraq and Afghanistan. The enduring importance of the Commission’s work, however, did not end when it terminated its operations five weeks ago. Commission records constitute a very important source of reference material for the public at large, journalists, professional associations, academicians, historians, and others. Simply stated, we need to live in the light. Sealing records for 20 years is inconsistent with the goals we established for the Commission when Congress acted to create the Commission three years ago. More timely, accurate, and substantial disclosure of the nonpublic materials provided by the Commission will help to achieve the transparency that the American taxpayer deserves. We appreciate your cooperation in this matter and look forward to your response at the earliest convenience. The following numbers do not include State Department/USAID or USACE contracts. 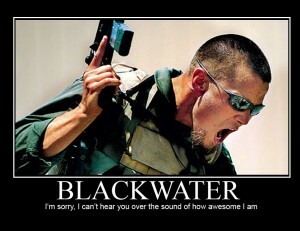 Since 2007, Blackwater Industries, which has changed its name to Xe Services, has employed over 10,000 personal security specialists to perform operations in Iraq and Afghanistan under lucrative contracts with departments of the United States Government including the State Department and CIA. While employing these individuals, many of whom are decorated veterans of the armed services including Special Forces, Army Rangers, Navy Seals, Blackwater sought to avoid millions of dollars in taxes, withholding, and payments of benefits to these employees by classifying them improperly as independent contractors. Yesterday, Scott Bloch filed an amended complaint in the class action lawsuit on behalf of four former security specialists, who were injured while working for Blackwater, in order to recover their payment of social security, unemployment insurance, and unpaid benefits and state and local withholding and unemployment insurance, and other unspecified damages. The action is brought on their own behalf and thousands of others who have worked for Blackwater and its newly named Xe Services. The action seeks $240,000,000 in damages for lost benefits, overtime, treble damages and punitive damages, as well as additional amounts as proved for the class of specialists. One of the Plaintiffs guarded such dignitaries as the just assassinated Former Afghan President Burhanuddin Rabbani as well as current Secretary of State and then Senator Hillary Clinton. Read full PRESS RELEASE Amended Complaint against Xe Blackwater here. DOD, State, and USAID have relied extensively on contracts and assistance instruments (grants and cooperative agreements) for a range of services in Iraq and Afghanistan. In the last 3 years, GAO has provided information on the agencies’ contracts, assistance instruments, and associated personnel in the two countries, detailing the agencies’ challenges tracking such information. Amendments from the National Defense Authorization Act for Fiscal Year 2011 now require the agencies to provide this and other information to Congress through annual joint reports. They also direct GAO to review those reports. In response, GAO reviewed the first joint report and assessed (1) data and data sources used to prepare the report; (2) use of data from the Synchronized Predeployment and Operational Tracker (SPOT) for management, oversight, and coordination; and (3) efforts to improve SPOT’s tracking of statutorily required information. GAO compared data in the joint report to agency data GAO previously obtained, reviewed supporting documentation, and interviewed agency officials, including those in Iraq and Afghanistan, on how the data were collected and used. The Departments of Defense (DOD) and State and the U.S. Agency for International Development (USAID) designated SPOT as their system in 2010 for tracking statutorily required information on contracts, assistance instruments, and associated personnel in Iraq and Afghanistan. Citing limitations with SPOT’s implementation, the agencies generally relied on data sources other than SPOT to prepare their 2011 joint report. Only State used SPOT but just for its contractor personnel numbers. However, GAO found that regardless of the data source used, the agencies’ data had significant limitations, many of which were not fully disclosed. For example, while the agencies collectively reported $22.7 billion in fiscal year 2010 obligations, we found that they underreported the value of Iraq and Afghanistan contracts and assistance instruments by at least $4 billion, the majority of which was for DOD contracts. In addition, data presented in the joint report on personnel, including those performing security functions, are of limited reliability because of significant over- and undercounting. For example, DOD did not disclose that its contractor personnel numbers for Afghanistan were overreported for most of the reporting period because of double counting. Additionally, despite the reporting requirement, State did not provide information on its assistance instruments or the number of personnel working under them. As a result of such limitations, data presented in the joint report should not be used to draw conclusions or identify trends over time. DOD, State, and USAID have used SPOT to a limited extent, primarily to manage and oversee individual contracts and personnel. Agency officials cited instances of using SPOT to help identify contractors that should be billed for the use of government services, including medical treatment and dining facilities. State and DOD officials also identified instances of using SPOT to help inform operational planning, such as preparing for the drawdown of U.S. forces in Iraq. Officials from the three agencies indicated that shortcomings in data and reporting capabilities have limited their use of SPOT and, in some cases, led them to rely on other data systems to help manage and oversee contracts and assistance instruments. Further, the agencies cannot readily access each other’s data in SPOT, which limits interagency coordination opportunities. Recent efforts have been made to improve SPOT’s tracking of contractor and assistance personnel. SPOT now allows users to enter aggregate, rather than individual personal information into SPOT, which may overcome resistance to using the system based on security concerns. In addition, DOD and State report increased efforts to validate personnel data in SPOT. However, practical and technical challenges continue to affect SPOT’s ability to track other statutorily required data. For example, SPOT cannot be used to reliably distinguish personnel performing security functions from other contractors. Also, while SPOT has the capability to record when personnel have been killed or wounded, such information has not been regularly updated. The agencies have identified the need for further modifications and new guidance to address some but not all of these limitations. It is unclear when SPOT will serve as a reliable source of data to meet statutory requirements and be used by the agencies for management, oversight, and coordination. As a result, the agencies still do not have reliable sources and methods to report on contracts, assistance instruments, and associated personnel in Iraq and Afghanistan. In 2009, GAO recommended that DOD, State, and USAID develop a plan for addressing SPOT’s limitations. The agencies disagreed, citing ongoing coordination as sufficient. GAO continues to believe such a plan is needed and is not making new recommendations.